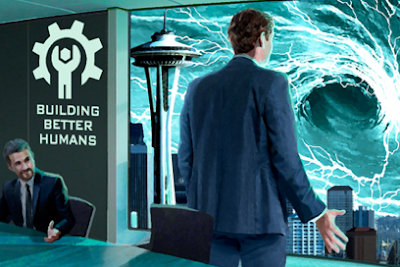 Lloyd of Gamebooks: Corporate Treachery Meets Otherworldly Forces in MetaHuman, Inc.
Corporate Treachery Meets Otherworldly Forces in MetaHuman, Inc. Damn. I promised myself I wouldn't do this. It's been a while since I posted anything on Lloyd of Gamebooks. The last few posts I wrote were back in the 2015 Summer of Gamebook Kickstarters (remember those heady days? 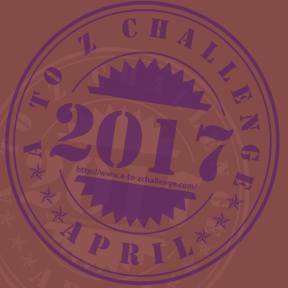 ), and each one of them was to promote various interactive fiction books or apps. Oh, they were all in earnest – I really was excited about those projects. But they all came down to selling something, nonetheless. And yet, what has always most appealed to me about this excellent blog that Stuart Lloyd has created is its, and his, honest adoration of gamebooks – the geeky fanboy element, if you will, a category under which I would also class myself. When Stuart first asked if I'd be interested in contributing to this blog, I wanted to respect that honesty – I intended my posts on Lloyd of Gamebooks to be first and foremost about discussing the gamebooks that I loved, old and new, and not merely a means of hawking my own wares. And yet, by the end of Summer 2015, I'd used this blog to do a lot of promo. It was about time I returned to my starry-eyed fanboy roots, and got back to talking about apps and gamebooks that I loved on their own merits, rather than because I had a dog in that particular race. With that proviso in mind, I'm about to tell you how amazing my newest gamebook app is, and then I'm going to tell you where you can buy it. It helps that I can be sincerely effusive – that I am enormously invested in this app I've been working on for about two years, which is probably the best thing I've ever written. Is it distasteful, even vulgar, for a writer to so brazenly market his or her own work? It shouldn't be. Particularly in this growing climate of ebookery and self-publishing. Particularly too in the interactive fiction sphere, which is still a niche domain, peopled by indie publishers and even indie-er writers. 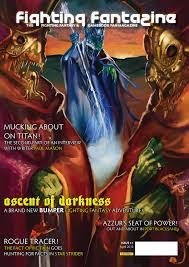 Oh, you can find a few giants who are still republishing Fighting Fantasy books, if you step outside the English language. But even they show no interest in breaking new ground. If we, as emerging writers, aren't prepared to market our own work, who will? Dave Morris addressed this point in detail in an article he wrote for The Bookseller in February. Take a look. For gamebook writers especially, there are far worse people to consult for advice. Bref, as the French say when they want to change the subject. Let's talk about MetaHuman, Inc.
MetaHuman, Inc. is an interactive fiction story in which you play as CEO of a nebulous corporation that specialises in creating Enhancements – superhuman abilities, for sale to the highest bidder. You must navigate the tribulations of the business world – recruiting and managing staff, say; prioritising Enhancement projects and building the resources necessary to handle them – while striving to raise your company's share price as high as possible. Because, should it fall too low by the end of the year, MetaHuman's shareholders won't be pleased. And they aren't the kind of preternatural beings that you want to have displeased with you. Yes, MetaHuman, Inc. is a tale of corporate dealings and treachery. But it is also a tale of sorcerous powers and bleeding-edge technologies – and the consequences and responsibilities of integrating such modern-day miracles into your own body. As you govern the fortunes of MetaHuman Incorporated, you'll face mercenary psychics, and fiery creatures out of Arabian myth. Worst of all, when the extraterrestrial parasites known as the Surgeons attempt to gain dominion over the planet Earth, you must decide what role MetaHuman will play in repelling this incursion – or whether you wish to help the aliens, in the hope of gaining immense power. In terms of game mechanics, Choice of Games, this app's publisher, has a track record of steering away from the clean-cut 'skills' that you would find in RPGs – 'You're good at this skill, you aren't so good at this...' – and preferring variables that reflect a degree of nuance on the player's part. And so, here you can play as a CEO displaying Ruthlessness or Compassion, one who shows a great deal of Candor or Guile. Publicly misbehave, and your company's Image will suffer, unless you can put a good spin on things. You can try to keep morale high amongst your staff – or you can bully and intimidate them into good behaviour. As mentioned, your company's Share Price is paramount, and it's a good idea to build up the Resources necessary to develop the really high-level Enhancements. Ah yes, the Enhancements, the bread and butter of MetaHuman Incorporated. These are, essentially, superpowers-for-sale, and the key to building up a good company profile. You can direct your company towards focusing on magical or hi-tech research, Witchery or Superscience; most Enhancements fall within one domain or the other, though a few walk the line between the two extremes. In writing this game, I wanted to shy away from including 'classic' superpowers – and so you won't find super-strength, or the ability to fly listed amongst MetaHuman's potential projects. Instead, you may be able to develop Heightened Legerity, Hex of the Arc Savant, Technopathy, Psi-activator, Probability Filter, and a bunch of others. And, yes, if your company develops these abilities, you, as CEO, get first taste of the finished product. And the game is big. It's about 260,000 words long, in total. Word count in apps can be a bit misleading – maybe 15% of that word count is coding rather than content. Plus, when comparing an app and a dead-tree book, in an app it's far easier to copy and paste a chunk of text, editing for continuity; do that, and that's a big brick of words that you have to count twice. Still, you've got maybe the equivalent of three Fighting Fantasy books crammed into this app. When you buy MetaHuman, Inc. you get your money's worth, any way you look at it. It's an added bonus that I love, love, love the game's cover art, by Paul Guinan. 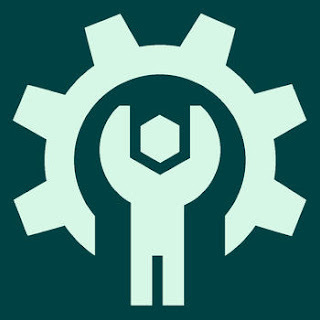 My one-line brief for that was along the lines of, 'I think the app's cover should be MetaHuman's company logo – something suitably sinister.' The final cover, up at the top of this page, is really fantastic. Thanks for that, CoG, and Paul Guinan in particular. So, I'm really proud of this game, and I wholeheartedly recommend that you take a look at it. You can play the first three chapters of the game for free right now, on the Choice of Games website. If you want to buy the game now, it's currently on sale until 4th January 2016. You'll get 40% off the regular price. I hope you enjoy it. And, once again, please excuse me for using this space to sell my stuff. Suddenly I want a version of Big Pharma where you create superpowers. I (as the author) heartily recommend it. And yes, CoG have a lot of great apps there.